Exactly one year ago, on 30.11.2015, we launched Translate APEX Project – the website containing collection of free translations for Oracle Application Express. 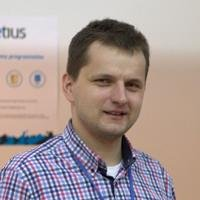 so at Pretius, we assumed that it will be good idea to translate its internal messages to as many languages as possible, so that developers don’t need to translate almost 500 messages if they want to create an application in their or their client’s language. Even if APEX contains 10 default languages, it doesn’t cover many big markets (like Russia, Indonesia, Turkey, Iran or Arabic world), well developed economies (like the Netherlands, Belgium, Denmark, Sweden, Finland or Norway) and international organizations that needs applications in tens of languages (like EU with 24 official languages). a vision of website that helps APEX to reach big markets and strong economies. A vision of place that we simply called translate-apex.com and thanks to many people from many different countries this place has been running for a year. But it was absolutely not an easy task to do! We needed to get all those translations, control its quality, provide easy installation process and find people who want to provide their translation or make them for free. But the “teamwork made the dream work” and we met many friends that helped in this project with their translations, scripts, ideas and advice – they have shown great will to help, cooperate and the real power of APEX Community. 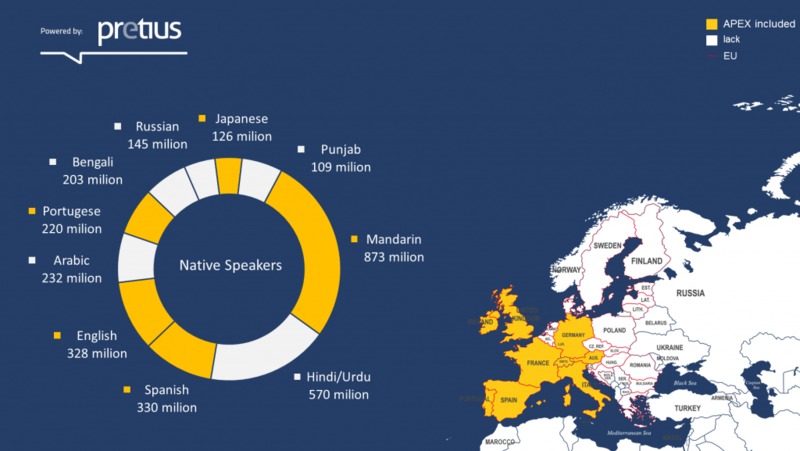 When you sum up all those numbers with other languages like Turkish, Farsi or Indonesian, we can announce that translate-apex.com has delivered translations for over 1.4 billion people! Every day about 30 users download translations from translate-apex.com. 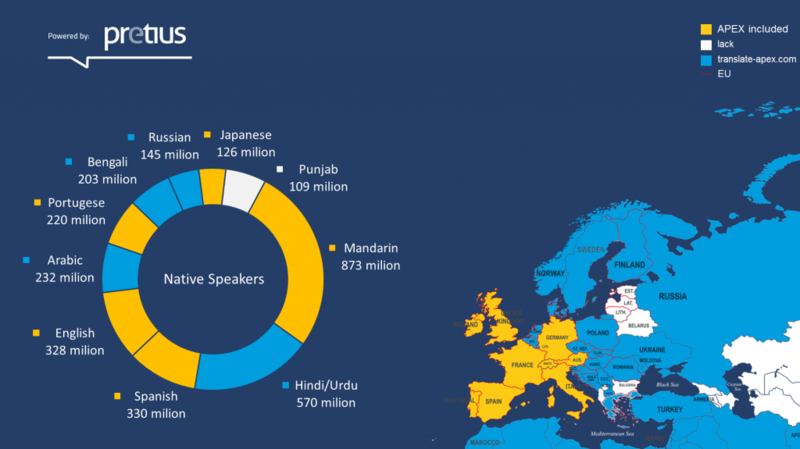 The most popular languages are Russian, Dutch, Hindi and Arabic. What’s more we also saved your time. Assuming that each translation was prepared and tested in about a week – we saved about 1000 hours of APEX Developers work. Of course it’s not the end. We have new ideas, new translations to publish and people who like Aljaž Mali and Bas de Klerk develop software that extends features of this project. What’s more in several weeks we will provide new section devoted to localization and globalization with solutions and plugins that will help in this process in Oracle Application Express. The numbers might look impressive, but I will write it again, the real basis of this project are the people – developers, translators, testers and users who share their comments. You can find full list of them on the website in “About us” section. To all of you and in particular to those who provided translations – I would like to say “Thank you!”. Translate APEX is your project and it was an honor to create it with you. It has been a great year! I hope that our cooperation will continue and result in creation of new amazing APEX projects in the future!